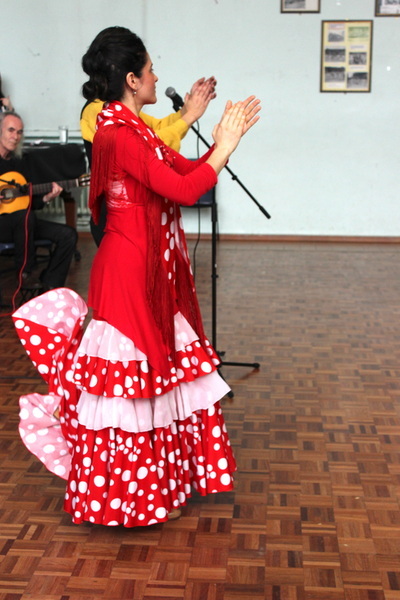 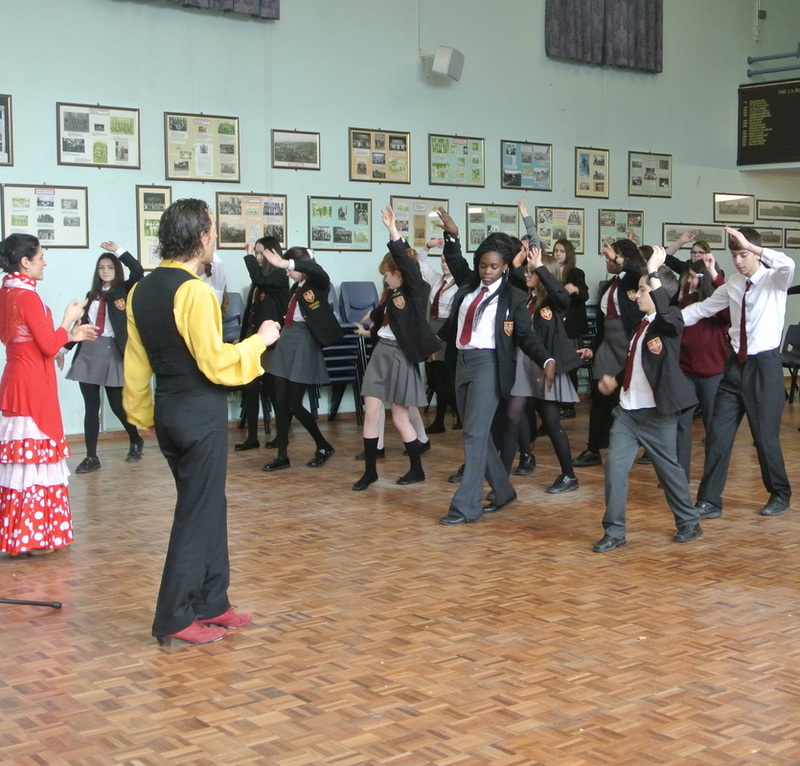 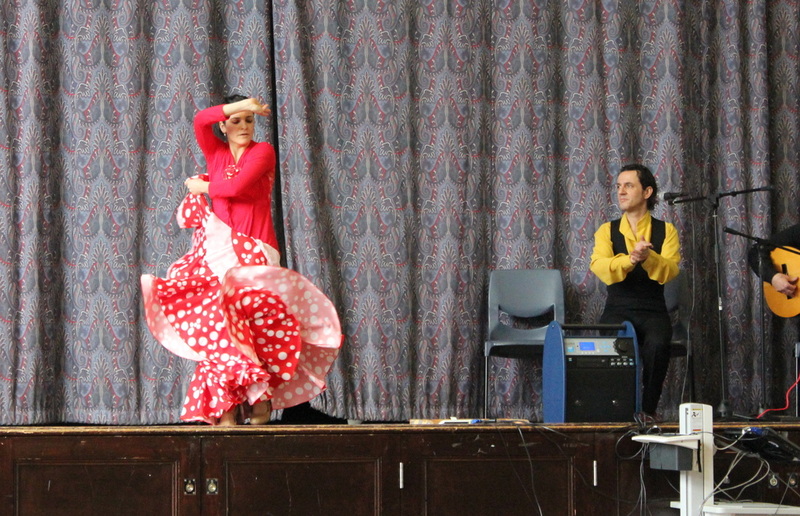 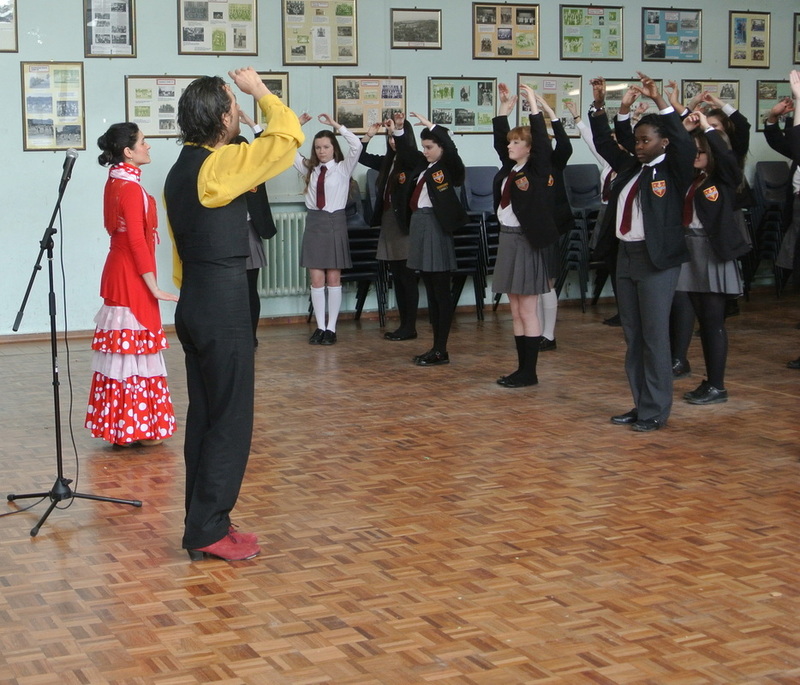 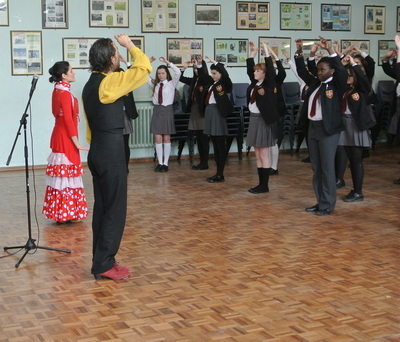 I've had the pleasure to welcome Ilusion flamenca dance company to CFS on the 21/01/14 to give a demonstration of the flamenco dancing - 2 sequences called "Aleyrias and Sevillanas". 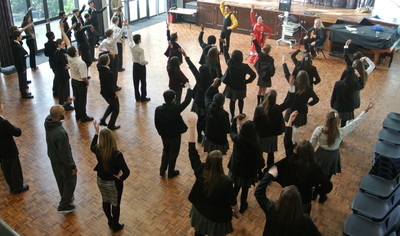 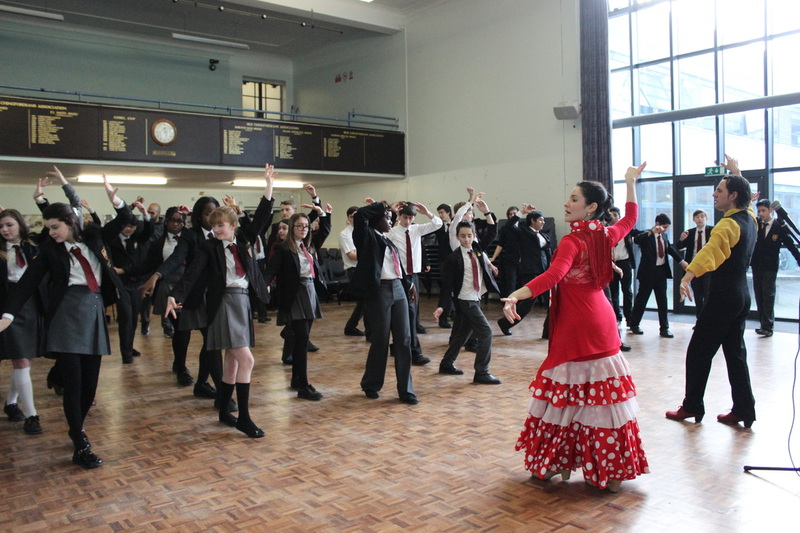 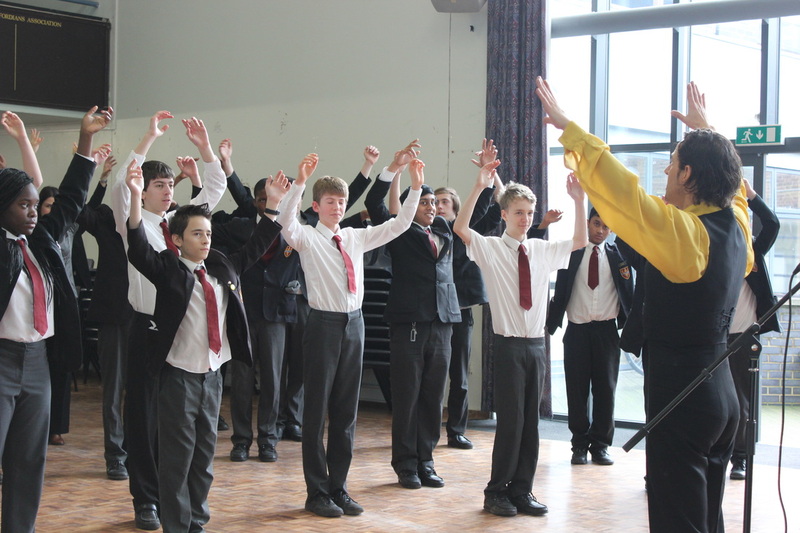 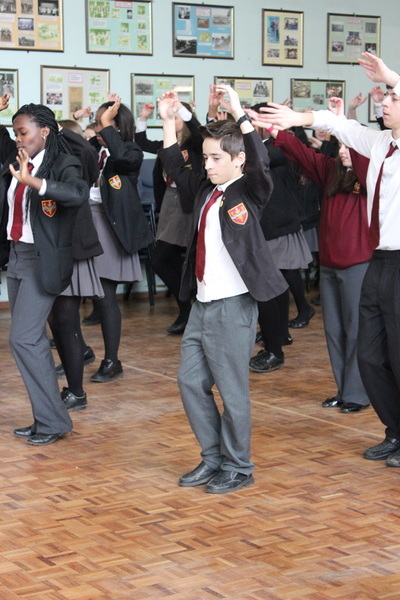 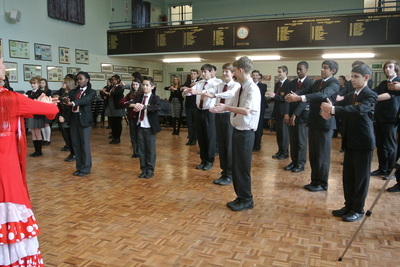 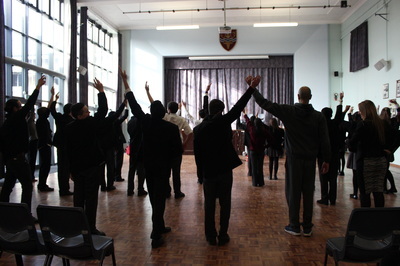 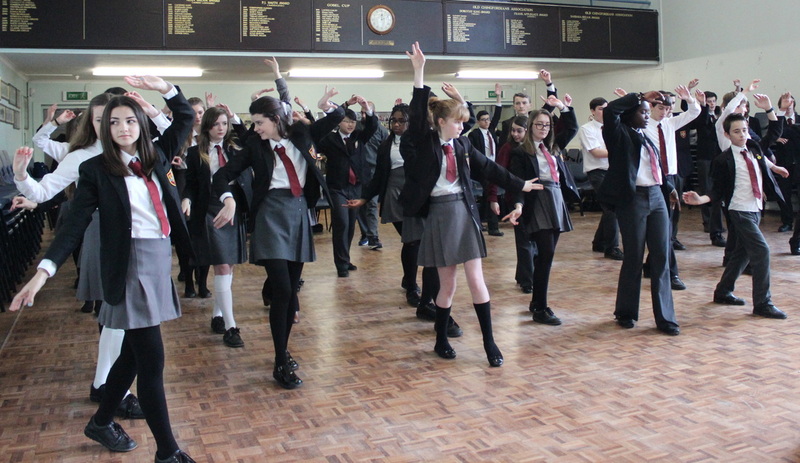 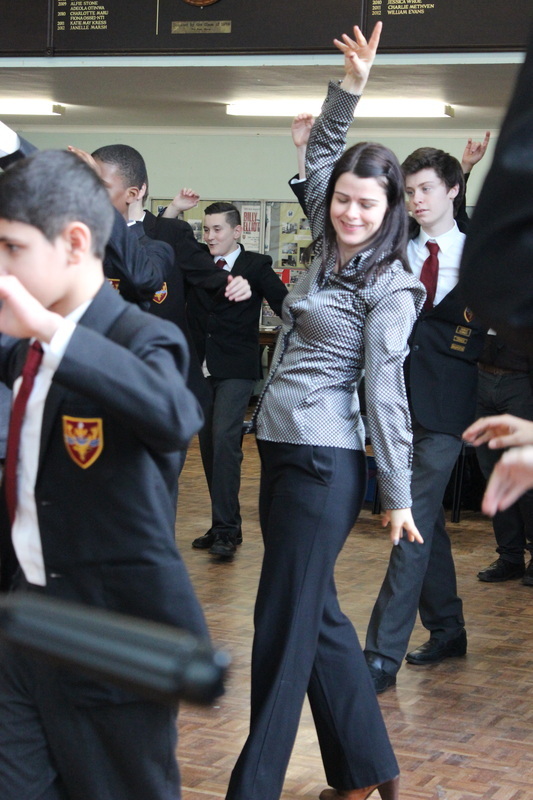 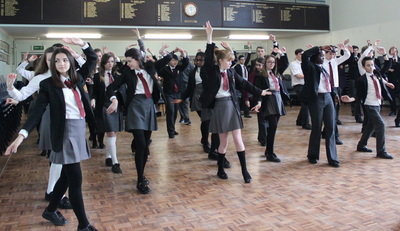 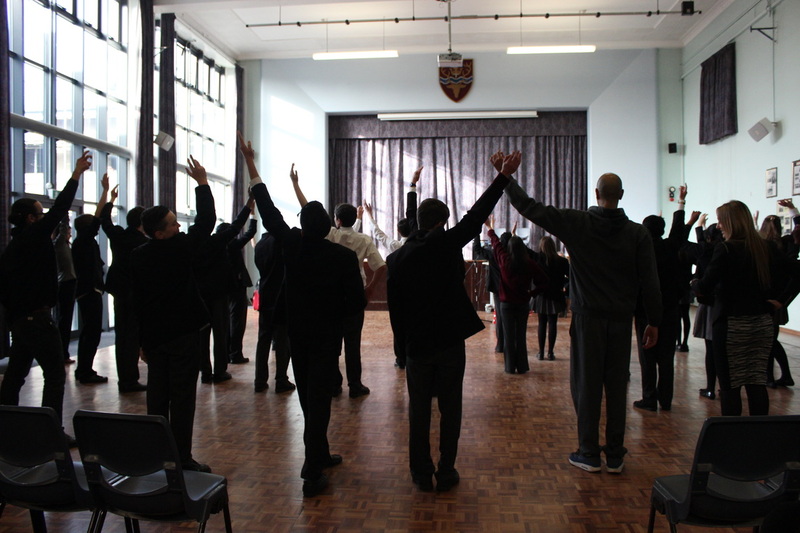 Then they taught us about the origins and meanings of the dance session ended with a workshop where we all learnt "Las palmas" and how to dance with our hands arms and stamp our feet to the flamenco rhythm. 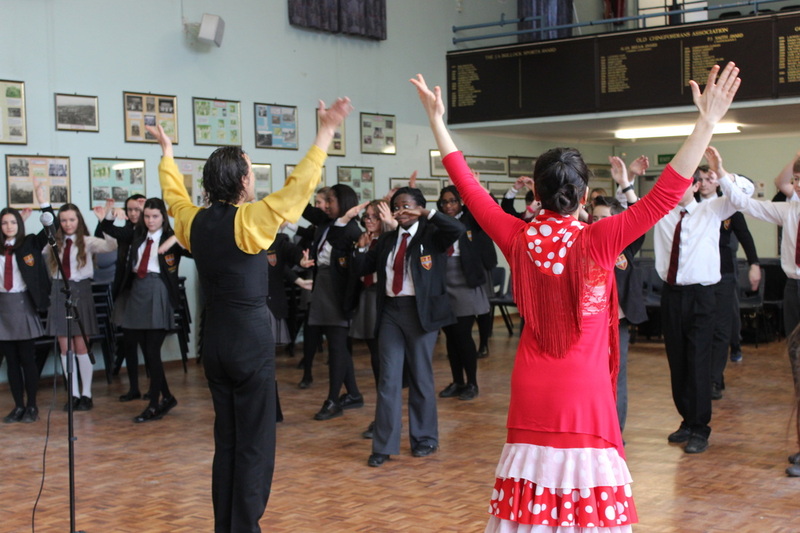 It was an unforgettable experience and fantastico and now we know how to dance "el tango flamenco" Above all we enjoyed shouting "ole!" with the flamenco dramatic attitude.